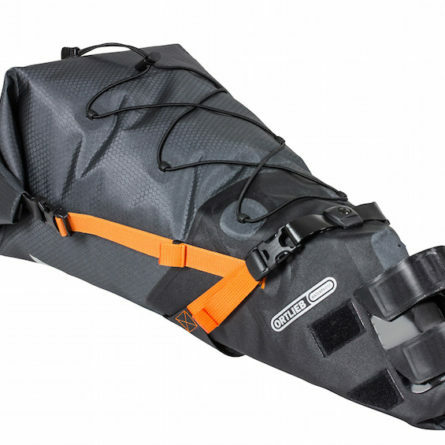 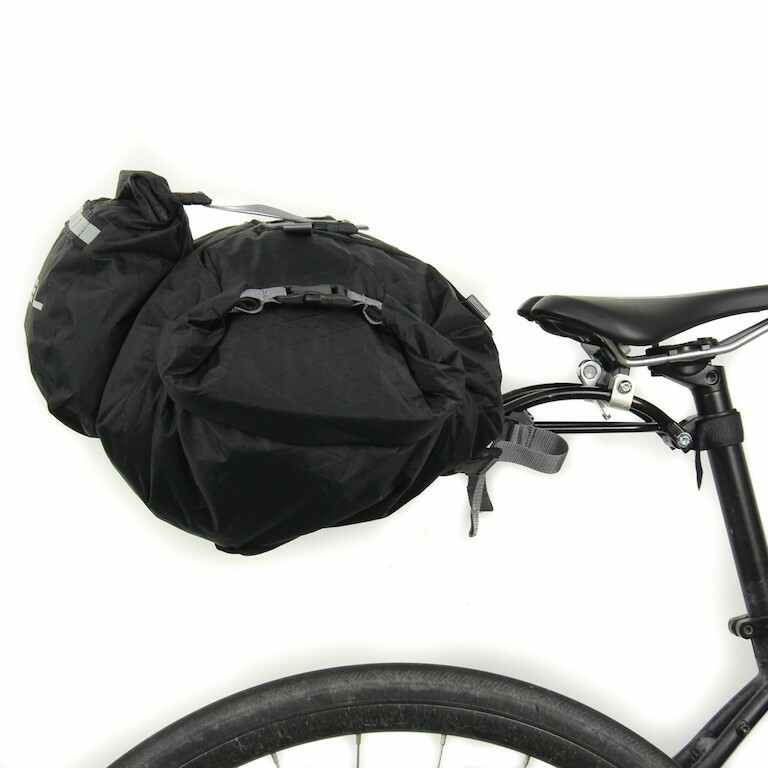 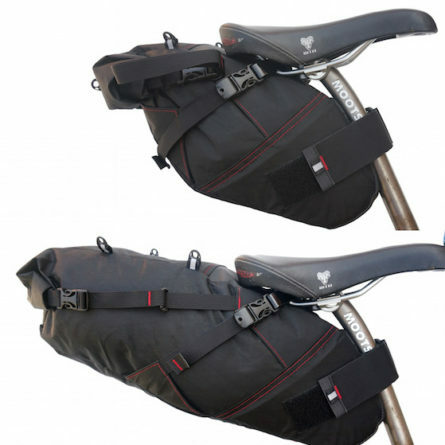 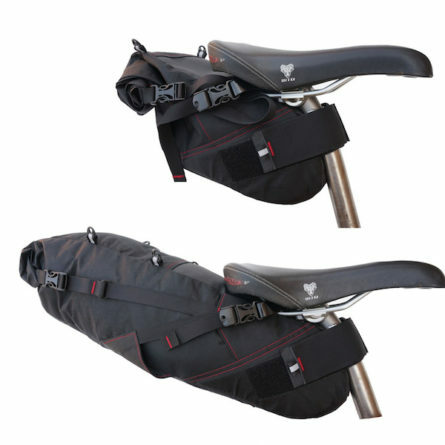 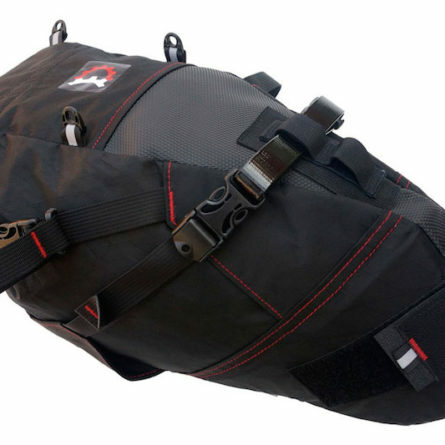 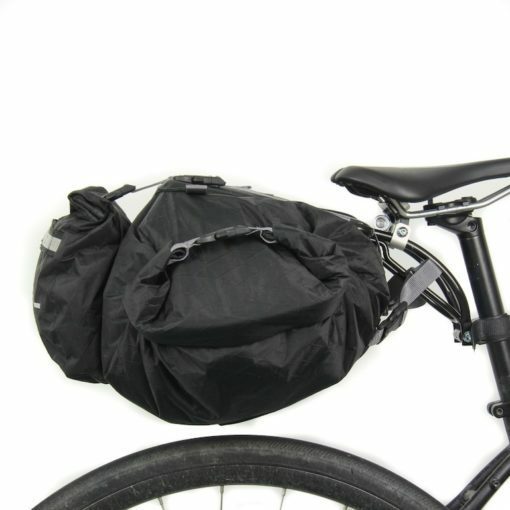 New from Arkel, the Rollpacker 25 seat bag with quick release aluminium hanger. 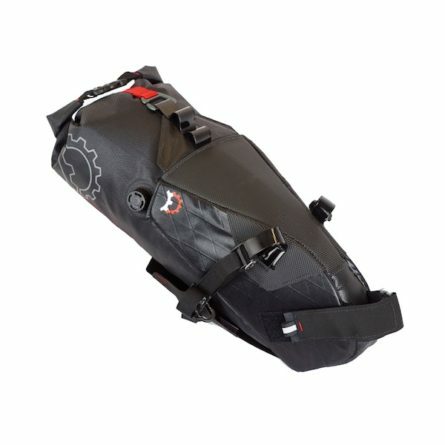 Completely waterproof with sealed liner, the bag easily slides off for easy packing and handling. 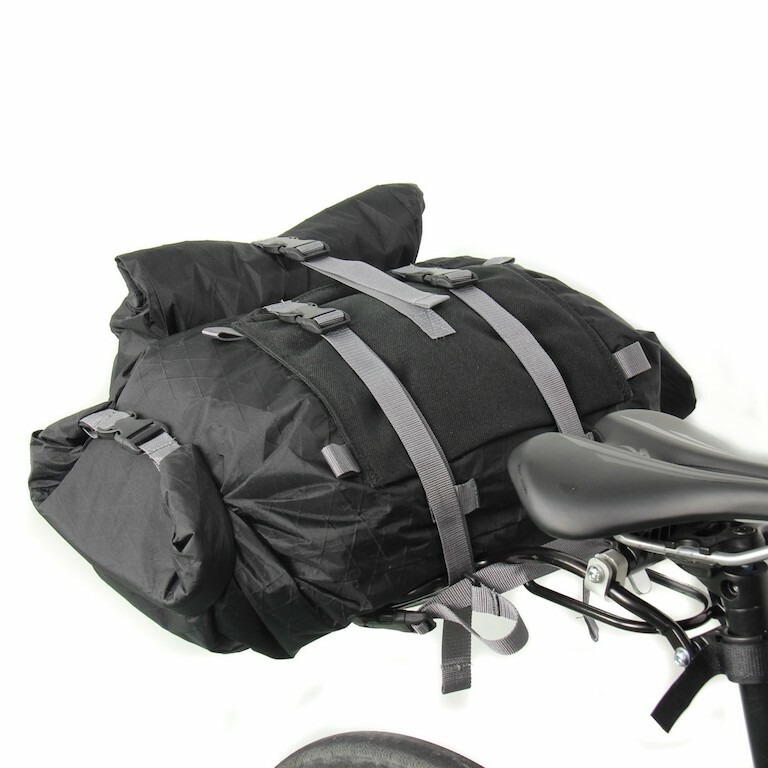 The Rollpacker aluminium hanger is adjustable and will easily adapt to small frames. 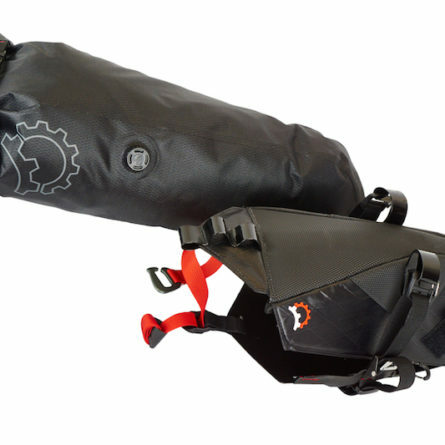 The sturdy hanger eliminates side to side movement (tail-wag). 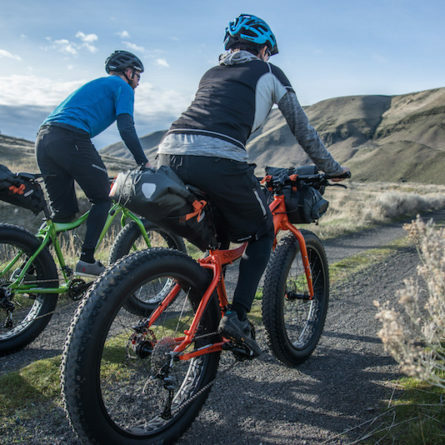 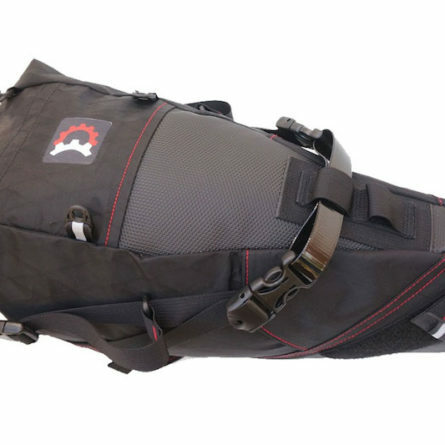 The Rollpacker 25 has one large waterproof main compartment with roll closures on both ends, a waterproof front pocket and an easy access open pocket between the main compartment and rear pocket.